Northampton shoe manufacturer Crockett & Jones has supplied a selection of styles to the character James Bond in the 24th Bond film, SPECTRE. To celebrate this, Crockett & Jones is offering the chance to win a full set of Goodyear welted men’s boots and shoes that feature in this eagerly awaited James Bond film, SPECTRE. 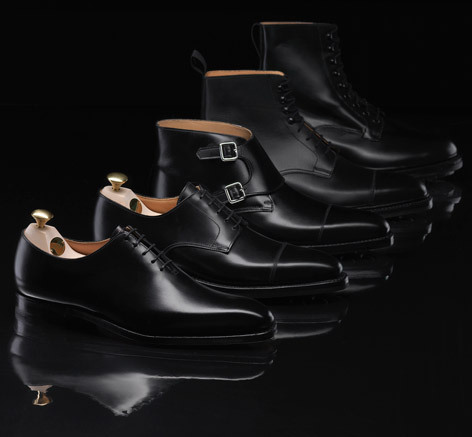 The shoes include the Camberley in black calf, Alex in black calf, Northcote in black wax calf, Norwich in black calf, Radnor in black calf and Swansea in dark brown suede. 1st Prize: All six Crockett & Jones styles that have been supplied to James Bond’s SPECTRE (the full set!). 2nd Prize: Three Crockett & Jones styles (of your choice), that have been supplied to the film. 3rd Prize: One Crockett & Jones style (of your choice), that has been supplied to the film. Visit the Crockett & Jones website to answer the trivia question for your chance to win! The competition winner will be announced on Friday 11th of December 2015 on the Crockett & Jones website and Facebook page.